Smooth Foam Balls for Arts & Crafts Floral Wedding Decor Science Modeling and School Projects (4'' Inch - 12 Balls) (4) by Charmed at Designers Artists. MPN: FM 4. Hurry! Limited time offer. Offer valid only while supplies last. Smooth Foam Balls for Arts & Crafts Floral Wedding Decor Color: White. They are lightweight, great to use for sculptures and school projects. 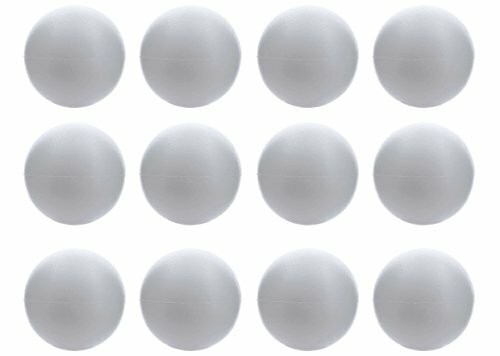 Smooth Foam Balls for Arts & Crafts Floral Wedding Decor Color: White. They are lightweight, great to use for sculptures and school projects. Available in 3, 4 and 6 and 8 inches. View More In Craft Supplies. If you have any questions about this product by Charmed, contact us by completing and submitting the form below. If you are looking for a specif part number, please include it with your message.